"Cleansing your skin doesn't need to be complicated. In fact, we're firm believers in using the power of natural ingredients to do the job. Too often, fancy packaging or the latest buzzwords overshadow what's truly important: the ingredients inside. We create our cleansers by hand using wholesome, effective ingredients like essential oils, fresh fruit and clays to leave you looking absolutely radiant." LUSH Face & Body Cleanser description from lushusa.com. How to use: Using warm water, wet your skin. Place a dime-sized piece of cleanser in the palm of your hand, dampen it with a little bit of water, and mix together until you have created a paste. Massage onto your face or body for 2-3 minutes, rinse, and dry. 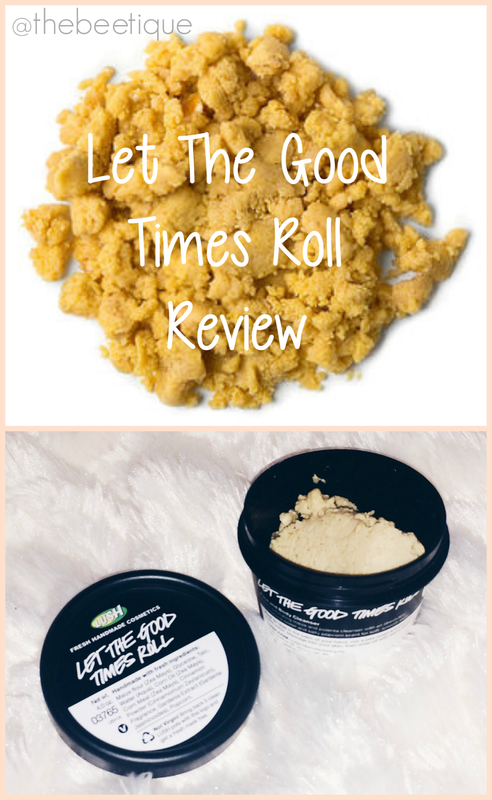 "A luxuriously soft and sweetly-scented cleanser, Let The Good Times Roll has quickly become a huge fan favorite. Maize flour, corn meal and a dash of cinnamon powder gently exfoliate and leave you with a vibrant glow, and lightly hydrating corn oil helps skin to retain its moisture and elasticity. With its rich butter-caramel fragrance and velvety texture, no wonder this one is so popular!" via lushusa.com. My review: Now I know why they say you'll never forget your first love. The very first time I walked into LUSH, I described my dry, easily irritated skin to the sales associate. She gave me a demo of three different facial cleansers, and Let The Good Times Roll was liiiiiiterally love at first scent. It smells super sweet, just like a Cinnabon, and leaves my face feeling like I just moisturized with liquid brown sugar. LTGTR is also a gentle exfoliator, with teeeeny pieces of popcorn packed inside as well. Considering how moisturized my face feels afterwards [due to all the oils in the ingredients], I unfortunately cannot use this as a daily cleanser. It's perfect for those days when my face is feeling extra dry, yet can use a gentle exfoliating sesh as well. "Do you remember putting calamine lotion on bug bites as a child? Aqua Marina was made with the same principle in mind; using the soothing pink extract to calm irritated, sensitive skin. This creamy, gentle cleanser is rolled up with mineral-rich nori seaweed to nourish the skin, cooling aloe vera gel and a sprinkling of sea salt for a super gentle exfoliation. Use all over your body in the shower or bath for smooth, perfectly soothed skin!" via lushusa.com. My Review: Do NOT get turned off by this sushi-looking facial cleanser! I originally took a sample of Aqua Marina home along with my LTGTR purchase. Remember I said that Let The Good Times Roll isn't a daily cleanser for me? Well, that's because Aqua Marina is. After I came home from my vacation to Puerto Rico, my forehead was a peeling mess. Me trying to get my tan to stay and not peel is a lot like trying to get your pet to stay and snuggle you [LOL]. My Puerto Rican tan cracked and peeled, and I'm embarrassed to admit that I was hesitating to wash my face in fear that my forehead would end up blistery and raw. I used my sample of Aqua Marina for the very first time because I knew it wouldn't exfoliate my damaged skin with the natural scrub that Let The Good Times Roll contains. It was super gentle (duh, it's calamine) and I could not believe what I saw when I looked in the mirror. There was not one sign of peeling on my forehead, and no raw/discoloration that I'd usually get after picking at a sunburn. Not to mention, Aqua Marina completely relieved any itchy, burning hives on my body and totally won my heart. 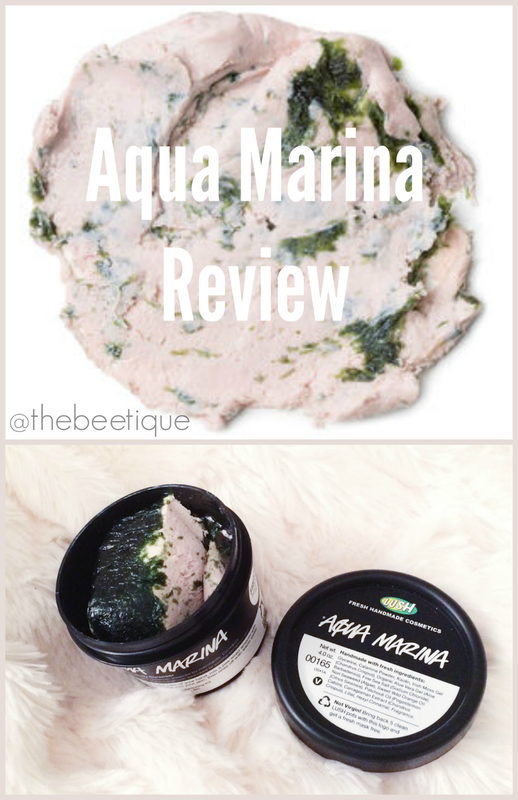 Unfortunately, I heard a rumor that LUSH is soon to be discontinuing Aqua Marina? So why would I be reviewing this, right? Because it's the start of summer, the sun is the most bittersweet thing on earth, and you need to get to your local Lush store ASAP to pick one up before it's gone for good. The LUSH obsession is real. 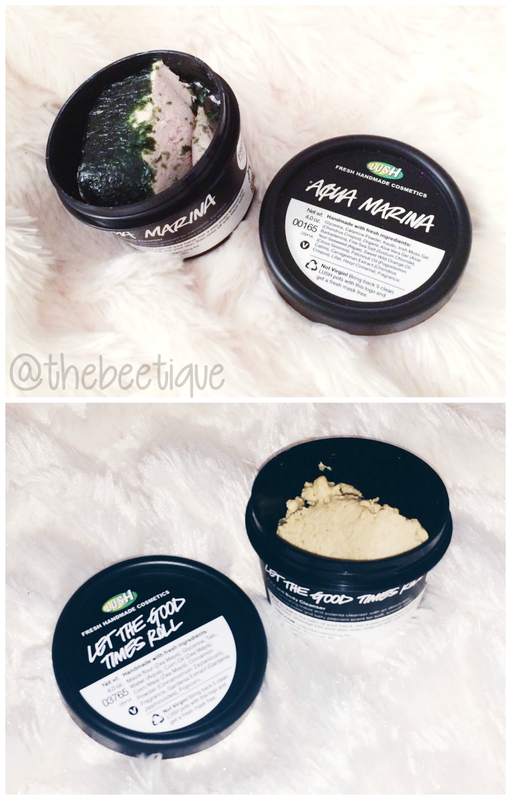 View my other LUSH Cosmetics reviews here!